Treat yourself with this blissful mini retreat experience. Be transported to deep and restful peace with gentle yoga poses and relaxing meditation. Enjoy aromatherapy, candlelight, cosy blankets and foot massages. Discover your inner calm space. The workshop will close with the profound and healing rest of Yoga Nidra. 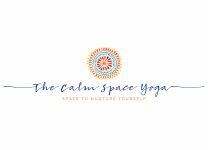 Gentle and easy yoga suitable for all ages and abilities- no previous experience needed. Yoga mats, bolsters, blankets and lavender-filled eye pillows are all provided for your comfort and relaxation.